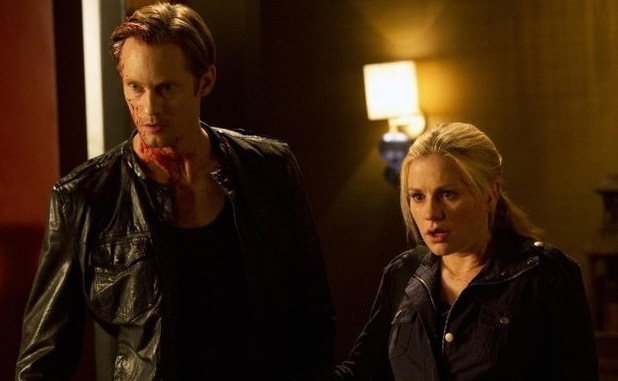 HBO’s bloody vampire drama True Blood has received a seventh season order. The show is currently airing a sixth season of ten episodes, with the seventh season expected next summer. HBO programming president Michael Lombardo called True Blood a “signature show for HBO, and a true phenomenon with our viewers” in a statement. “Thanks to [showrunner] Brian Buckner and his talented team, the show continues to be a thrill ride like nothing else on TV,” he said. This entry was posted in News and tagged Alexander Skarsgard, Anna Paquin, Brian Buckner, Charlaine Harris, HBO, renewal, True Blood, tv. Bookmark the permalink.